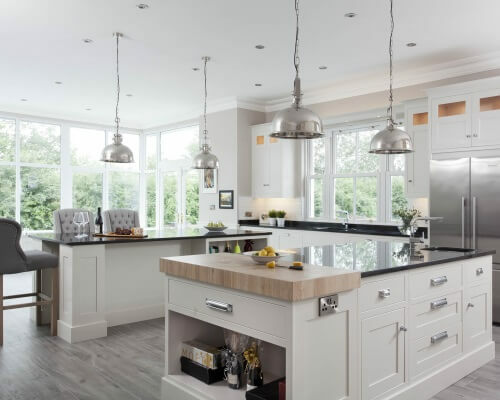 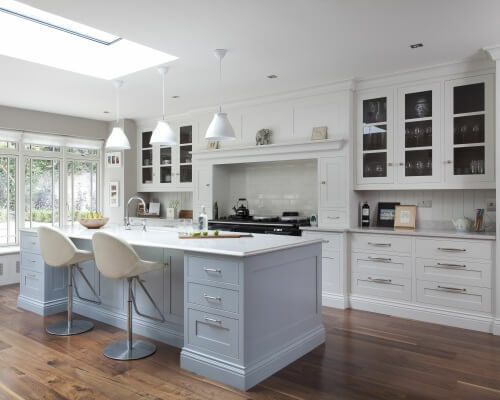 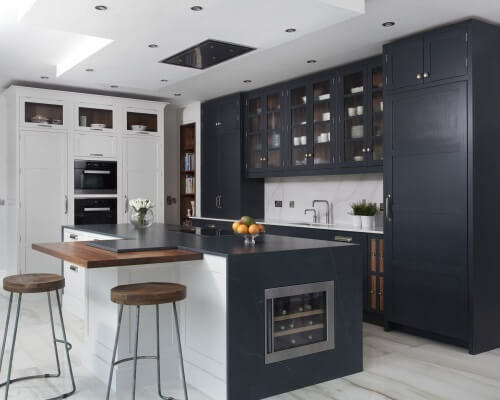 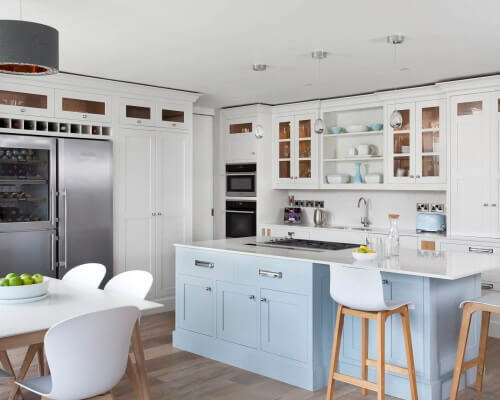 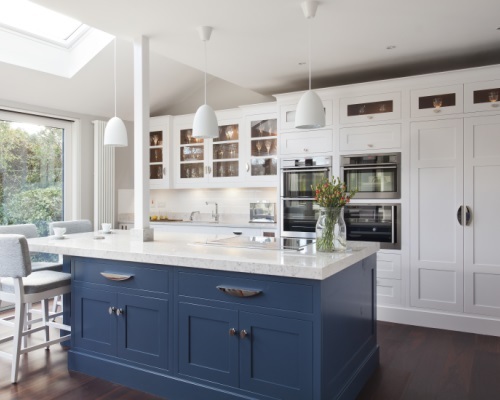 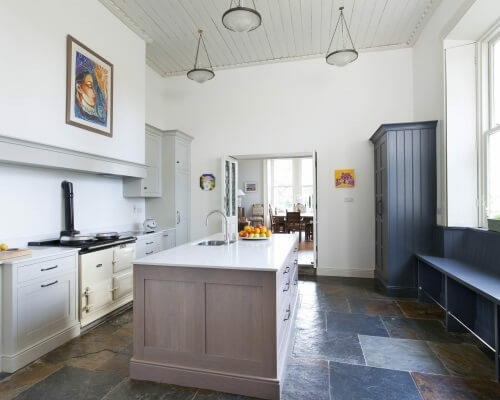 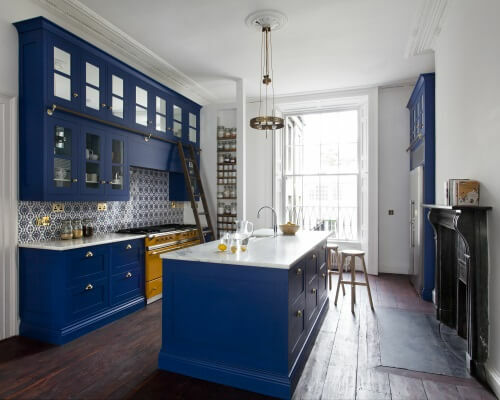 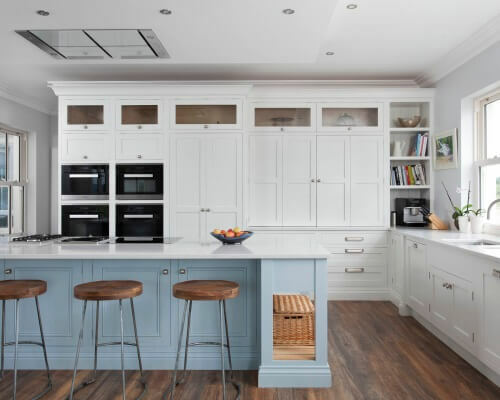 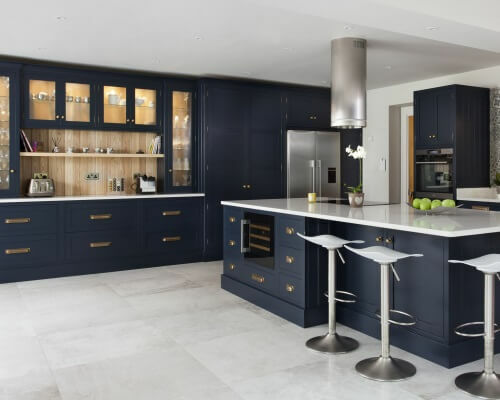 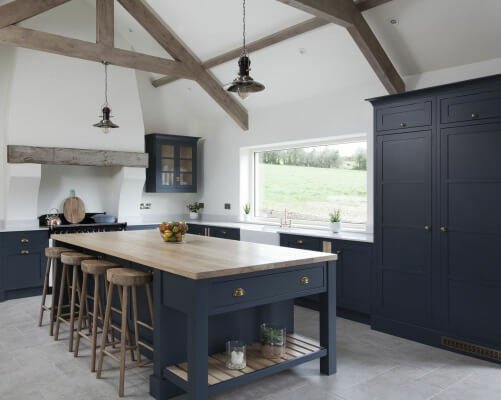 This beautiful kitchen was designed as part of a complete refurb to this impressive home. 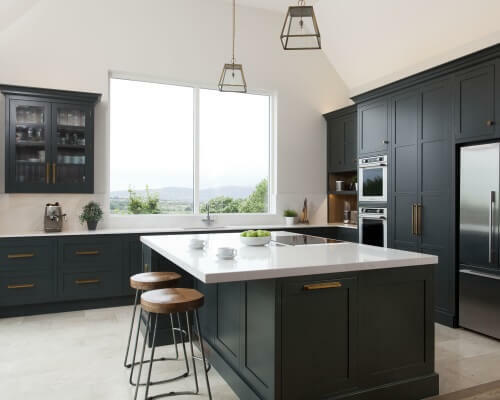 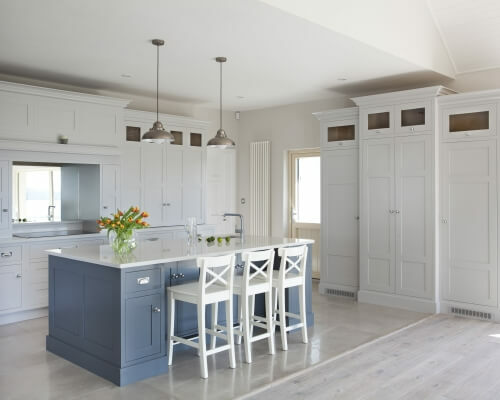 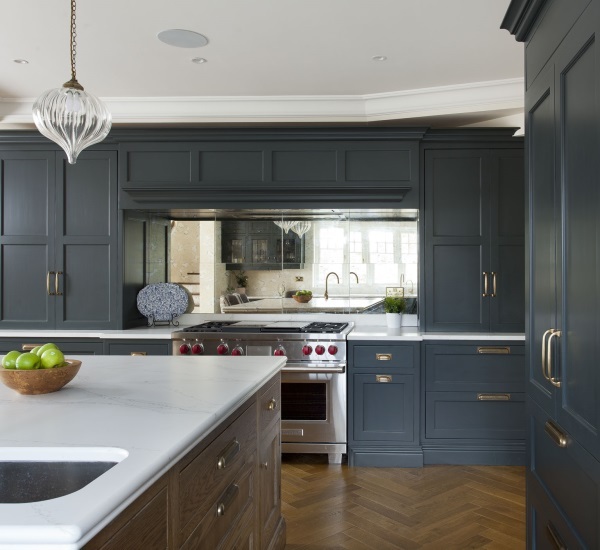 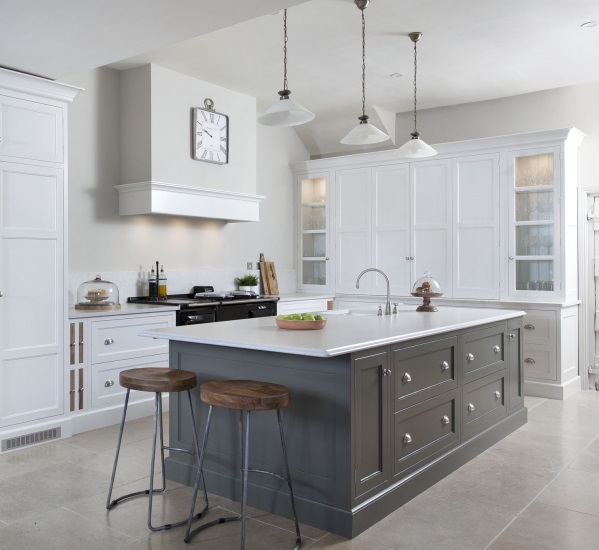 Solid beech cabinetry has been handpainted in Little Greene ‘French Grey’ with ‘Livid’ on the island and glass cabinet. 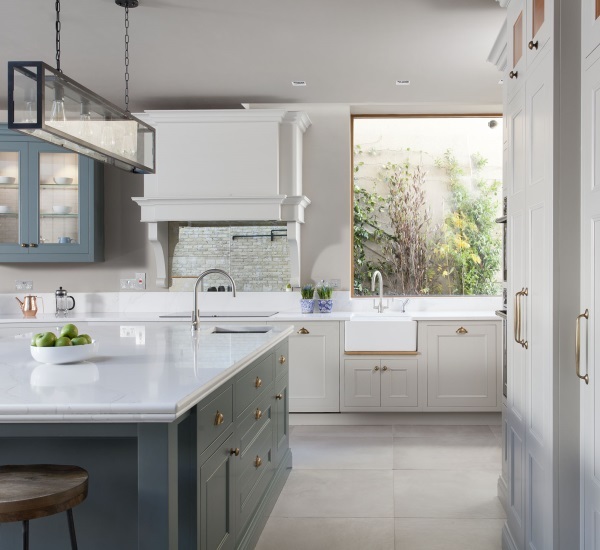 Worktops are Calacatta Gold by Silestone.